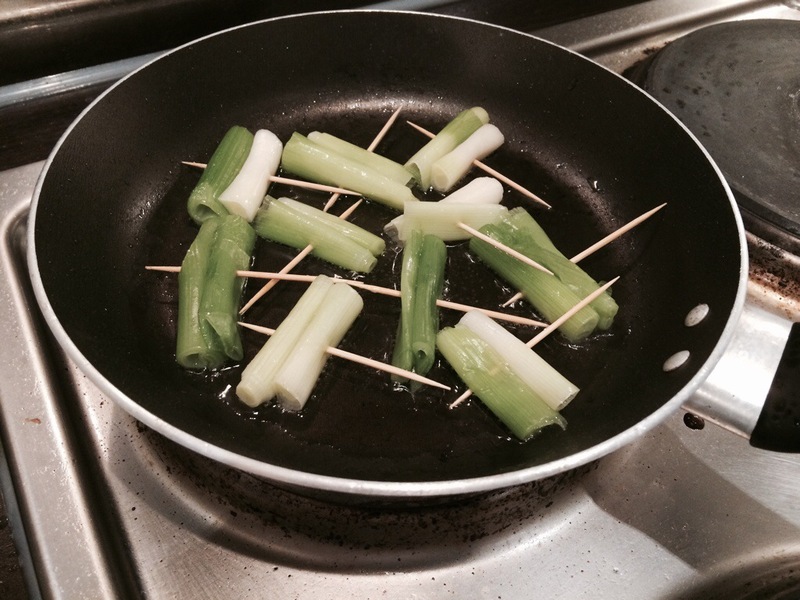 Inspired by Japanese bar food, I made some very simple spring onion skewers to accompany martinis. I chopped the spring onions into short lengths, stuck two on a cocktail stick then fried them, first in a little oil, then with an added soy sauce and mirin mixture. Slightly fiddly to make, but I will try and perfect the technique to make it easier and, of course, tastier. 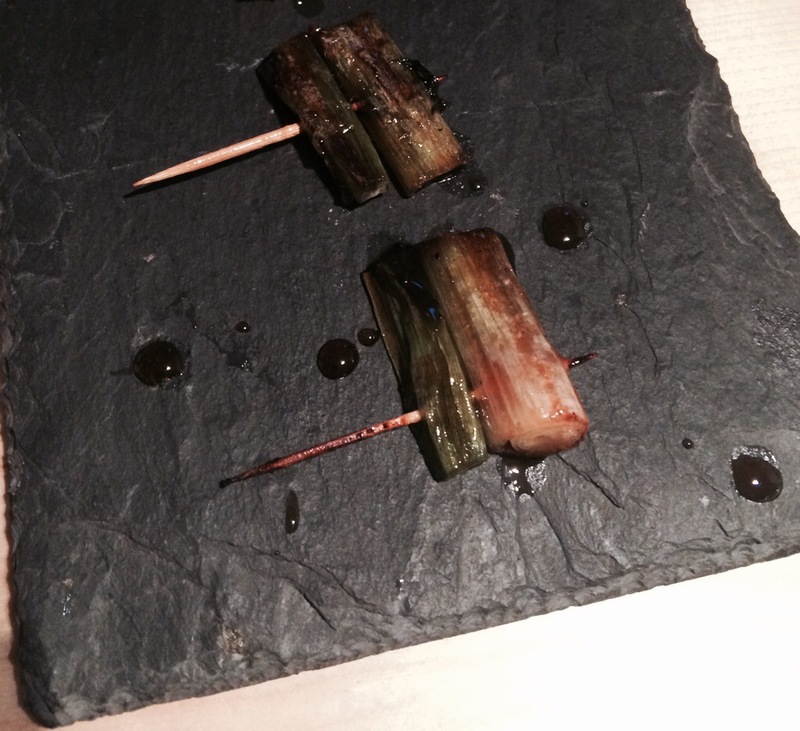 If you haven’t heard of ‘izakaya’ you’ve got a treat waiting for you. Frying #springonions for sweet #soy #nibbles #bites to accompany #martini #saketini or #sake. This entry was posted in Canapés, snacks and nibbles, The Diary and tagged accompaniment, マティーニ, bar, izakaya, japan, snacks, tokyo, 居酒屋 by themartinidiary. Bookmark the permalink.